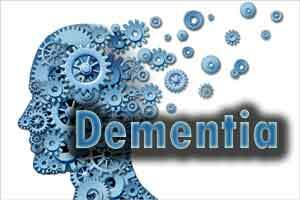 London : Elderly people who experience steadily increasing depressive symptoms are more likely to suffer from dementia, finds a study. The findings may also indicate the early stages of dementia a group of conditions characterised by impairment of at least two brain functions, such as memory loss and judgment. Older adults whose symptoms of depression increased over time showed an increased risk of dementia. This risk was particularly pronounced after the first 3 years. “Depressive symptoms that gradually increase over time appear to better predict dementia later in life than other trajectories of depressive symptoms such as high and remitting, in this study,” added M Arfan Ikram, Erasmus University Medical Centre, in Rotterdam, Netherlands. Individuals with remitting symptoms of depression were not at an increased risk of dementia compared to individuals with low depressive symptoms. However, having severe symptoms of depression at one point in time does not necessarily have any lasting influence on the risk of dementia, the researchers noted. The long-term study, published in The Lancet Psychiatry journal, examines the link between dementia and the course of depression. The researchers hypothesised that increasing symptoms of depression in older age could potentially represent an early stage of dementia. According to research, the course of depression varies greatly between individuals some might experience depressive symptoms only transiently, followed by full remission, others might have remitting and relapsing depression, and some might be chronically depressed. Different courses of depression may reflect different underlying causes, and might be linked to different risks of dementia. The study included 3,325 adults aged 55 and over, who all had symptoms of depression but no symptoms of dementia at the start of the study. The researchers tracked depressive symptoms over 11 years and the risk of dementia for a subsequent 10 years. The team identified five different trajectories of depressive symptoms low depression symptoms (2,441 participants); initially high symptoms that decreased (369 participants); low starting scores that increased then remitted (170 participants); initially low symptoms that increased (255 participants); and constantly high symptoms (90 participants). Of the 3,325 participants, 434 developed dementia, including 348 cases of Alzheimer’s disease.